There are plenty of reasons we use Duro-Last for nearly all our roofing projects. Prefabrication enables Duro-Last to create a custom-fitting roof that master elite contractors like Riddell can install in a fraction of the time it takes by traditional means. By bringing the roof to you, we can ensure that every roof meets our grueling standards and those of Duro-Last. Prefabrication also means that Duro-Last roofing is highly customizable. When we come out for an assessment, we’ll collect all the crucial data we need to make the perfect roof for your business. Of course, that means all AC units, roof vents, doors, etc., are included, but it also means so much more. 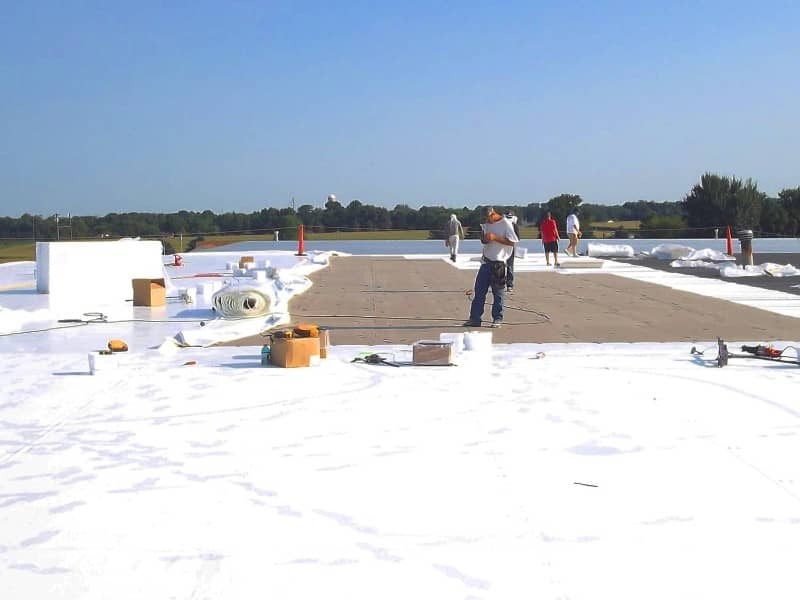 Roof walk pads are crucial for any business building that needs employee access. Ensure the safety of your staff and your roof by incorporating them into your plans. If you have AC units or other pieces of machinery, you need a way to access them safely. Custom logo printing is another amazing option that prefabrication grants us. 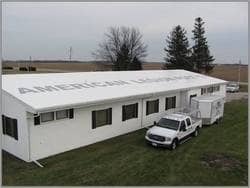 If your building faces a major road, having your company’s name emblazoned across the roof is permanent advertising. With many other roofing options, this just isn’t a possibility. Not only does prefabrication mean shorter installation time, but it also means that the installation is a lot less intrusive. There’s no need to shut down operations, so you won’t lose money while spending more money to fix your property. We understand that driving away business is one of the major factors when considering a construction project. Through prefabrication and specialized equipment, we remove that from the equation. We’ve been installing roofs for thirty-five years. We know how to make the process as painless as possible. Make an appointment with one of our roofing estimators today, and we’ll give you a detailed quote about the project length.